Growing Happy Kids–a WSU Food $ense website dedicated to helping families understand the importance of eating nutritious and natural foods, showing families how to buy healthy foods on a budget, and allowing parents to share their successes and challenges in healthy eating. Super Tracker— This website is the most comprehensive I’ve seen for tracking your nutrition and exercise. It tracks your daily intake of the food groups (which most food trackers don’t), your exercise, nutrients, and meals. You can print out each category in nice neat summaries. You can add your own combo food and even your own recipes and it will calculate the nutrition facts for you! You can also use the “Food-a-Pedia” on it’s own to look up nutrition information about a ton of different foods. 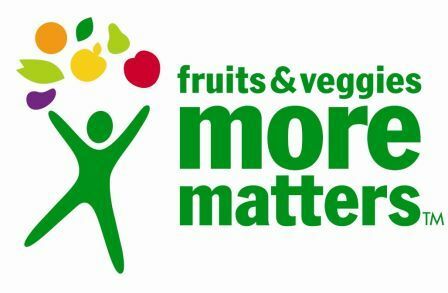 Fruits & Veggies More Matters–fresh fruits and vegetables pack a ton of nutrition into a sweet, crunchy, juicy package! 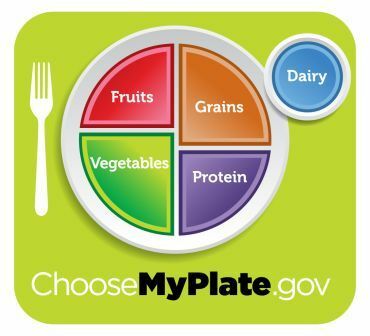 Check out this website for lots of information on fruits and vegetables as well as a ton of great recipes to help you fill half your plate with fruits and veggies! 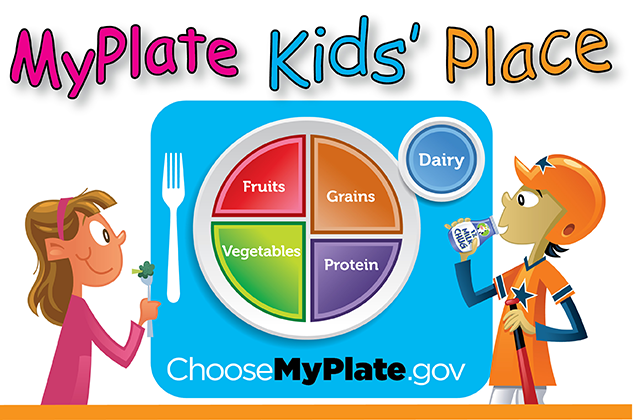 MyPlate Kid’s Place: Take a look at the full “Serving Up MyPlate: A Yummy Curriculum” –you can use the curriculum in its entirety or use the particular lessons that with integrate best into your classroom. There are also printable posters, activity sheets, songs, and games that your students will love. Team Nutrition–This site has a lot of resources for schools that want to improve their overall health. Make sure you take a look at the “Resource Library” which has three pages of links for schools and teachers. The Fuel Up to Play 60 website has lots of great information–here’s a direct link to their “Nutrition Education Resources” page, which has categories like “School Nutrition,” “Research,” “Lessons,” “Games,” and “At-Home Tools.” Check it out! Children’s Books about Nutrition–a list of children’s books that incorporate nutrition. We’ve used a few of these book in the SNAP-Ed program in the past. This is by no means an exhaustive list, but it’s a start! Let’s Move!–was launched by First Lady Michelle Obama as an initiative to get students moving and eating healthy. Super Tracker— This website is great for tracking your nutrition and exercise. It tracks your daily intake of the food groups (a lot of food trackers don’t), your exercise, nutrients, and meals. You can print out each category in nice, neat summaries. You can add your own combo food and even your own recipes and it will calculate the nutrition facts for you! You can also use the “Food-a-Pedia” on it’s own to look up nutrition information about a ton of different foods. Fight Bac! TONS of food safety information here. They have a great kids section which includes activities, games, and curriculum for K-12 grades! 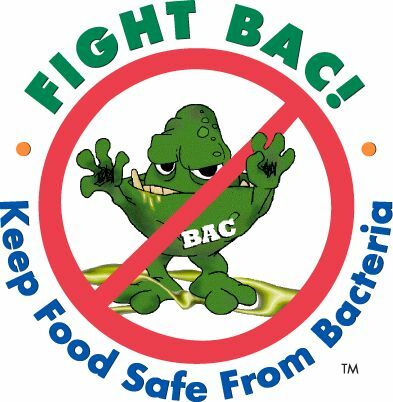 Thermy for Food Safety–Thermy is the USDA’s mascot for food safety! 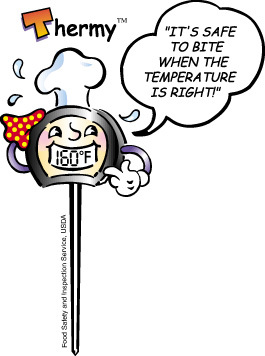 As a thermometer, Thermy knows the proper temperature that foods should be kept at. Scroll down this page to find Thermy for Kids, Thermy for Educators, as well as a bunch of other useful information! Finally, Food Safety for Kids and Teens is a page of links compiled by the USDA. It’s got lots of activity sheets, games, and curriculum for use in the classroom.